Diana Yampolsky is one of the world’s foremost specialists on the topic of the human voice and is the creator of the Vocal Science™ method, a unique and truly revolutionary accelerated vocal development technique. It is a holistic and scientific approach to voice mechanics that enables all speakers and singers to reach their full potential in an extremely short period of time. Proven results are guaranteed in 10 hours. 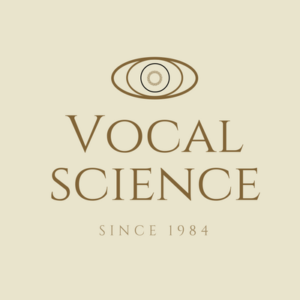 The Vocal Science technique focuses on the idea that the voice is an expression of the emotional, physical and spiritual state of the person singing or speaking and Diana, therefore, works not just on the voice but on the person as a whole. Based in Toronto, Canada, Diana works with a wide spectrum of clientele as a Master Voice Coach, Consultant, and Non-Surgical Voice Repair Specialist. Born in Russia, Diana Yampolsky has dedicated her life to the voice – it’s study, application & performance. Her studies led her to the Leningrad School of Music and Voice and the Leningrad Voice Teachers’ College. In 1976, she received a Bachelor’s degree in Voice and Music Education. While in Leningrad she was a choir director, a public school voice teacher, and a private voice coach. Diana’s personal breakthrough in vocal technique came one day during a vocal demonstration to a group of students; she experienced an extraordinary transformation in the brightness, tone, range, and power of her voice. Even with her extensive training, Diana had never realized her true vocal potential until that moment. This breakthrough was the beginning of her innovative concept in Vocal ScienceTM. Since 1980, Diana has been teaching in Toronto, specializing in voice. She continued to further develop her innovative vocal method. Her efforts have resulted in the creation of the Royans Revolutionary Accelerated Vocal Development Technique; The Royans Institute for Non-Surgical Voice Repair was opened in 1984 to teach this technique to the public. Through her revolutionary Vocal Science Immersion Program Diana regularly instructs clients from all over the world, including locations as far as away as Japan, Hong Kong, Taiwan, South Africa, Thailand, and India. Diana is Canada’s foremost Voice Repair Specialist. Through her revolutionary voice technique, special exercises and natural herbal remedies, she can resolve most vocal problems naturally and prevent singers and speakers from having to resort to surgical procedures and pharmaceutical products that often produce unwanted side effects. As a true holistic practitioner, Diana works on the source of the vocal problem, rather than the symptoms. Ms. Yampolsky has an extensive private practice in Toronto and worldwide. She is available for personal consultations in Toronto and in the UK. Please call the number listed below if you would like to schedule an appointment. Diana is also a gifted public speaker, with numerous television and radio appearances to her credit. If interested, please call to book Diana’s presentation engagement. Vocal Science (TM) – The Best in Voice Restoration and Enhancement!